To MBA or not to MBA? There’s no question! The Masters in Business Administration has been catapulting careers to unprecedented heights since Harvard Business School launched the first ever MBA program in 1908. Today, the MBA is the world’s most sought-after business management degree; the pièce de résistance for many an international b-school. Michael Bloomberg has one, Google CEO Sundar Pichai has one, Donald Trump sometimes says he has one. Heck, even Shaquille O'Neal has one. Basically, MBAs are cool. BusinessBecause (also cool) is in the business of supporting people on their MBA journey all the way from the very beginning. With this in mind, we spoke to MBA students, grads, professors, admissions staff, bloggers and entrepreneurs — and asked them all the same simple question: Why should I get an MBA? Who runs the world? MBAs. MBAs grads hold the reigns of some of the world’s biggest firms: Apple, Google, JPMorgan and Coca-Cola included. Get rich quick with a return on your investment in under four years. Want to switch from finance to fashion? An MBA is the perfect opportunity to start afresh. Julia Sanchez, head of global alumni relations at Spain’s IE Business School, says an MBA will “open your eyes to infinite possibilities”. MBAs can be costly. Prodigy Finance lets you fund your degree with community-funded student loans. Harvard MBA grad George Dubya did it. The world’s your oyster. Every year, international MBA students flock to Hong Kong’s CUHK Business School, the gateway to careers in China. Where you choose to study can determine your future career. Choose wisely. Paris, Melbourne, Tokyo and London are ranked among the top 10 best student cities in the world! Students at London Business School (pictured below) set a new world record for the highest number of different nationalities taking part in a popular singalong. They sang John Lennon’s “Imagine” on the school lawn. Learn to operate within different cultures. In China, saving face is everything. Oh, and don’t be surprised if local people take photos of you in Tiananmen Square! LBS students are required to learn and be competent in a chosen second language by the time they graduate. Parlez-vous MBA? Picking a pretty campus can give you that little bit of extra motivation when hitting the books. At UWA Business School, students stroll through the picturesque surroundings of Perth’s Swan River. No need to travel! At Copenhagen Business School, you get to “meet the world, in one class, in one place”, according to MBA student Marius Vetaas Thomassen. What do Nike, Gap and Victoria’s Secret all have in common? They were all started by MBAs. It’s simple: If you want to launch your own business venture, an MBA gives you the tools and the support to do so. Want to join Apple, Google and Facebook in tech heaven? Stanford, Berkeley Haas and UCLA Anderson all have strong ties to the world’s number one tech hub. Karl Loo and Jason Kang (pictured below) met at Oxford Saïd before starting up South-East Asia sharing economy venture ServisHero, billed as the Uber for local services. ESSEC Business School in France cuts out any administrative hassle for its MBA entrepreneurs by providing a rented start-up space, and by organizing meetings with venture capital investors. Bored of big brand designer labels? Puerto Rican fashionista Mario Alberghini started up his own luxury menswear brand — La Tigre Uomo — after an MBA at Bologna Business School in Italy. Give something back. After an MBA at George Washington University b-school (GWSB), Joshua Pavano (pictured below) set up Jonas Umbrellas. Profits from selling limited edition umbrellas fund the building of clean-water wells at schools in Uganda. If you can work with a bunch of highly intelligent, highly ambitious, highly strung Type A personalities, then you can work with anyone. “You’ll learn how to analyze any company from many different perspectives and you’ll develop the ability to understand the strategy, operations, and performance of that company, quickly and effectively,” says former HBS professor-turned-top-business-blogger Michael Roberto. Tormented by Toshiba? John Sakakini says that, with an MBA, you learn how companies try to get away with massaging numbers to make themselves look better. “Looking at you Groupon!” he says. Need to secure a big business deal? Pick up the dark arts of seduction and persuasion at b-school and you can make sure things go your way. An MBA keeps you at the cutting-edge of tech. As big data transforms the business landscape, McMaster University’s DeGroote b-school in Canada has launched an EMBA on the subject, while IE Business School in Spain offers a combined MBA and master in business and data analytics. Online hackers are a threat to any business. GWSB runs a specialized EMBA with a cybersecurity specialization. On the Copenhagen Business School MBA, students learn all the best tricks of the trade from top marketing expert Thomas Ritter. MBAs teach you how to market yourself. Granted, an MBA can be an infinitely stressful experience. But that’s partly the point. With an MBA your stress threshold will sky-rocket, preparing you for your high level, high octane business career. Are stocks, shares, and markets all a mystery? With an MBA, you’ll be playing the stock market and partying like the Wolf of Wall Street before you know it. Algorithms, equations, tables, spreadsheets, workbooks, bleurgh! Wondering what it all means? You’ll be an Excel expert by the time you’ve finished finance. Pitch, present, represent. An MBA will provide you with the confidence and communication skills to help you conquer your fear of public speaking. Diwali, Christmas or the Chinese New Year. In such a multicultural environment, you’ll receive more social event invites than you can physically handle. The UWA student social club creates MBA friendships that last. All those late nights working together. Your eyes meeting over a financial accounting textbook. Where better to meet your high-flying life partner? MBA events have their perks. Think you can get away with an un-ironed t-shirt? Think again. B-schools have an unspoken “business casual” dress code. Pack your blazers. And ladies, don’t forget that Gucci handbag. B-schools kit out their students with branded gear; umbrellas, calculators, backpacks or, if you’re at London’s Imperial College Business School, a personally engraved iPad. HEC Paris hosts an annual MBA tournament, which brings sports teams from b-schools around the world together to compete. AGSM MBA students started their year by climbing up Australia’s Sydney Harbor Bridge. An MBA opens doors. Get on the career events circuit and network your way to the top. Already backpacked around South America in search of the inner you? Come up short? An MBA gives you time for self-reflection. “You will find a great mentor among the faculty and alumni of the school you attend,” says former HBS prof Michael Roberto. He’s not wrong. Ozzie accountant Chris Yates was thrilled when he was matched with the former CFO of giant mining corporation ENK on UWA Business School’s mentoring program. For MBA admissions blogger Stacy Blackman, an MBA is a stamp on your resume that no one can take away. You’re more than just a name now. You’re [insert name here] MBA. Gaps in your resume? An MBA gives you the time to figure out what you want to do with your life, guilt-free. LBS blogger Olly Nguyen calls it a “covered period” allowing you to “experiment and take risks without anyone questioning what you were doing during that time”. Online MBAs are disrupting the traditional b-school model. Take an MBA online and you can work, holiday, and care for your children at the same time. Arden University is a leading provider. Just how high can you jump? Michael Czinkota — an international business blogger and professor at Georgetown University’s McDonough School of Business — says an MBA will let you “see how and where you fit in among hard charging competitors”. Aww! But seriously, your mom will love it. Get another graduation photograph up on that mantelpiece! We had so much fun writing this list of 50 reasons why you should get an MBA, that we couldn’t resist reaching out to our b-school contacts to see if we could get some more. Did they have anything to add? Of course they did! Why should you get an MBA? Here’s the latest thinking from the people who know best. Interested in policy work at the World Bank, the Federal Reserve, or the IMF? It used to be that a PhD was required, but not anymore. An MIT Sloan career trek to Washington DC, organized by the MIT Sloan Finance and Policy club, revealed that this is no longer the case. Wolter Lemstra, associate professor at Nyenrode Business Universiteit, says: “An MBA provides a unique combination of academic rigor and business relevance. University education is typically highly academic, often referred to as ‘ivory tower’ thinking. But in business, many decisions have to been made without a huge amount of time or resources, often based on the past experience of the executive or manager. These decisions are highly relevant to the business but typically lack the benefit of thorough academic research as their underpinning. In MBA programs, academic rigor is combined with business relevance–the best of both worlds. Dennis Vink, director of the Nyenrode MBA, sums it up nicely. “No matter what success means to you,” he says, “there are certain things that most successful MBA programs in the world have in common. You will face many challenges and failures during the program. But to achieve success, you need to enhance your academic skillset and work together with your classmates as a team in order to keep moving on. 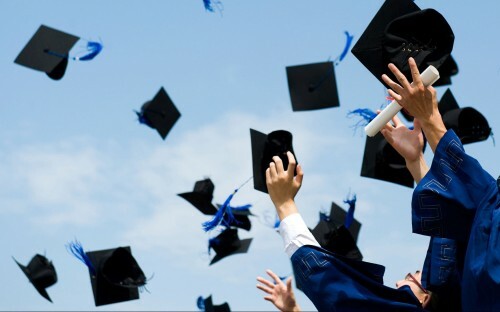 In the end, the MBA diploma is going to be a reward that lasts a lifetime! There are so many different reasons why you should get an MBA. If we’ve missed something, let us know in the comments below.